With industry growth comes commercial convenience. 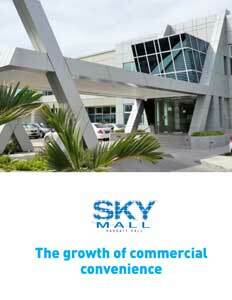 And nowhere in Barbados is that more apparent than at Sky Mall. The rejuvenated retail shopping center was regenerated from Mall Internationale in November 2012 and has since grown into a true one-stop experience for Barbadian shoppers. But, beyond the simple accessto retail shops, grocery needs and business service centers, Sky Mall has endeavored to incorporate businesses that bridge every conceivable gap in the consumer market. 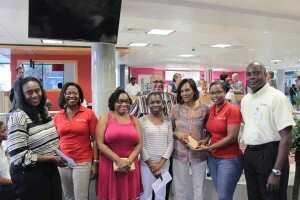 A new emphasis on marketing and a friendly extension of gratitude to customers has been encapsulated by multiple giveaways, competitions and promotions since the transition, conveying the message that Sky Mall is not only the perfect place to do personal shopping and banking, but also home to the most popular food court on the island, with six restaurants catering to a wide range of tastes. 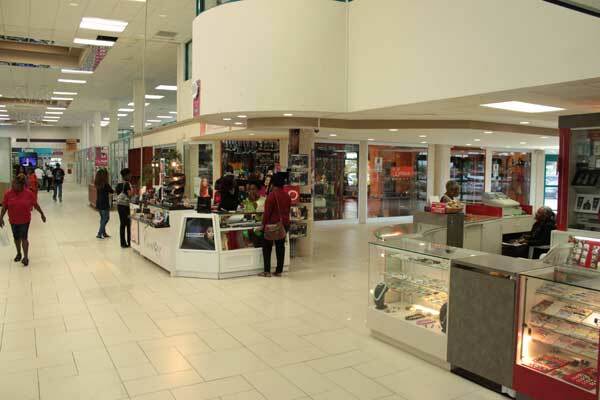 The mall is operated by Williams Industries Inc., a diversified Caribbean corporation with headquarters situated at Cane Garden, St. Thomas in Barbados. It controls 13 wholly owned and 17 joint venture companies – in Barbados, Saint Lucia and other Caribbean islands – that do business in manufacturing, electrical engineering, supply to the construction industry, waste recycling, water desalination, well drilling, real estate development, building and equipment rental, sewage treatment, alternative energy, cellular communication and tourism. Overall, the WII Group employs more than 600 people, more than 300 of which are shareholders. “There are nine offerings. I call them offerings, because what we are trying to do is cover all the market niches that had voids before,” said Everick Eastmond, the mall’s operations director. The facility took on a sizable new tenant in the summer of 2014, when Massy Stores & Pharmacy opened a new outlet, eight months after the closure of the Trimart supermarket. 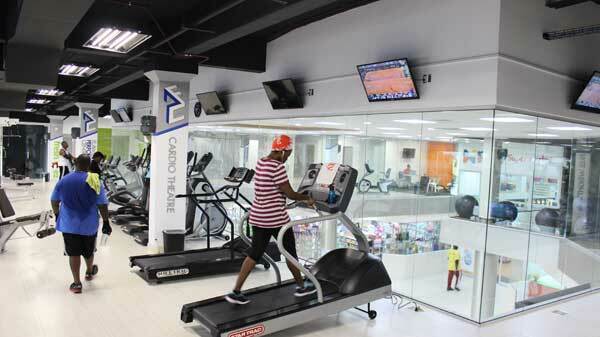 The new store occupies 33,000 square feet – including 20,000 square feet of retail space– in a completely refurbished and re-designed space that is also home to smaller retail outlets in front of the entry to the supermarket, in addition to a large gym and wellness center upstairs. Eastmond said customer traffic has increased significantly since the 2012 changes were made, particularly with the addition of the food court. The arrivals join a long-term roster that includes Payless (offering fashion, jewelry and accessories, footwear), Courts (home furnishings and accessories), Brydens Stationery (school and office supplies) and Upbeat (men’s and women’s apparel). Also, on the property’s southern side, are Little Pleasures Dessert Parlour, Burger King and other food court restaurants, in addition to government and commercial offices. In-house mall management is working in tandem with Williams Industries on a future vision. 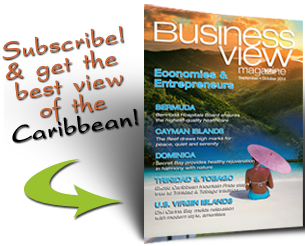 The aim, he said, is to make Sky Mall the premier location of its kind in Barbados – building particularly on the elements of safety, security and convenience – which, in turn, will enable it to attract the sort of customer clientele to prolong the success. “Our current marketing/public relations strategies also include widening our reach to assist the programs of surrounding schools and community organizations while at the same time encouraging and assisting our tenants to raise the bar of customer service towards excellence to their primary targeted customers,” Eastmond said. Having Massy on board will go a long way toward that objective. The Trinidad and Tobago-based company provides a range of first-class healthcare services from on-site testing to over-the-counter drugs and filling of prescriptions. Among its signature services are prescriptions filled while customers shop, competitive pricing, personalized and professional prescription services, private pharmaceutical counselling, over-the-counter drugs, filling of CDAP prescriptions, free blood pressure testing, blood glucose and cholesterol testing and a 3 percent discount for Massy employees when they present a loyalty card. “Massy has invested a lot of money in terms of the esthetics and the product offering and the whole ambience of the supermarket,” Eastmond said.